.NET Standard libraries have a uniform API for all .NET Platforms including Xamarin and .NET Core. 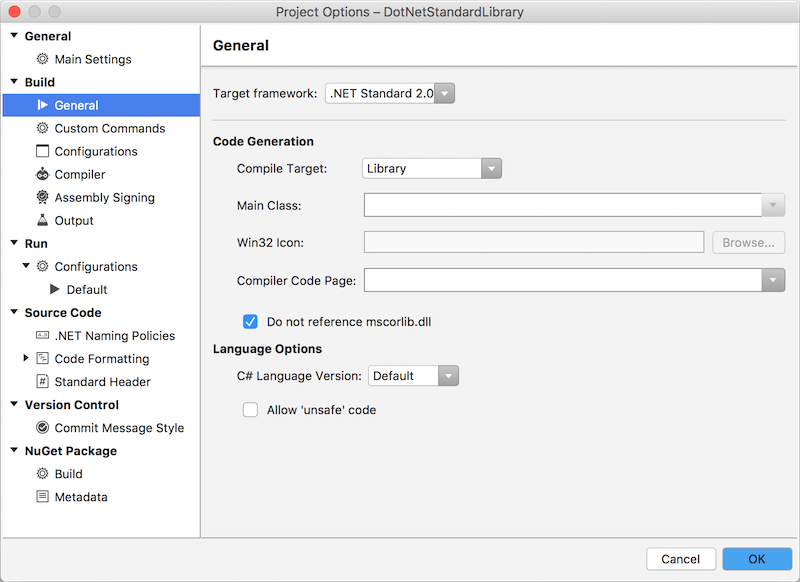 Create a single .NET Standard Library and use it from any runtime that supports the .NET Standard Platform. Refer to this chart for details of supported platforms. While .NET Standard versions 1.0 through 1.6 provide incrementally larger subsets of the .NET Framework, .NET Standard 2.0 provides the best level of support for Xamarin applications and for porting existing Portable Class Libraries. 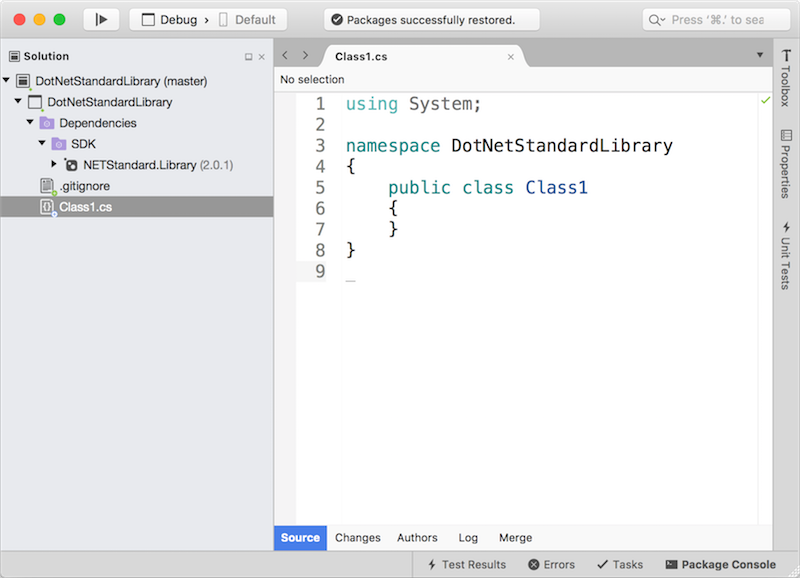 This section walks through how to create and use a .NET Standard Library using Visual Studio for Mac. On the final screen, type the project name and click Create. 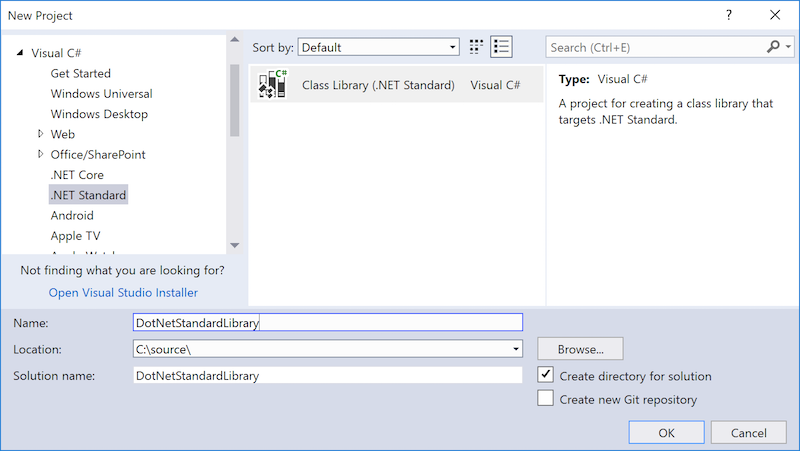 The .NET Standard Library project will appear as shown in the Solution Explorer. 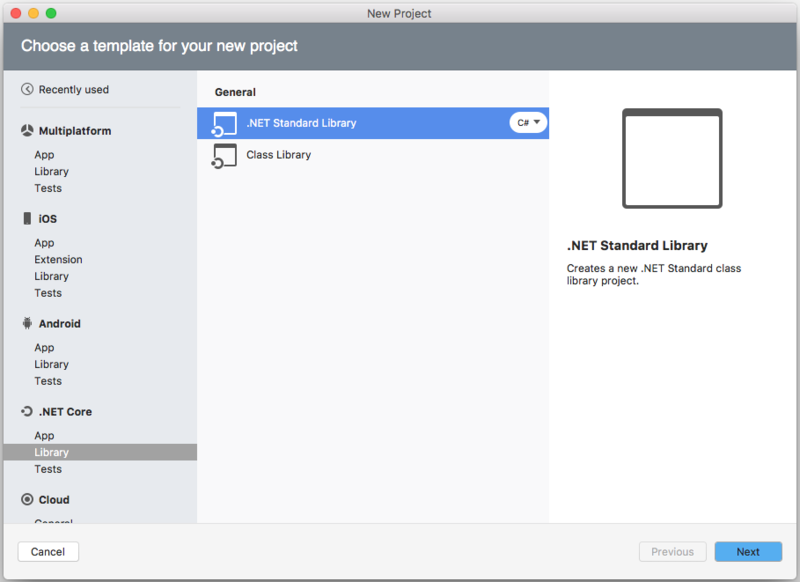 The Dependencies node will indicate that the library uses the NETStandard.Library. Inside you can change your version of netstandard by changing the Target Framework dropdown value. Additionally: You can edit the .csproj directly to change this value. 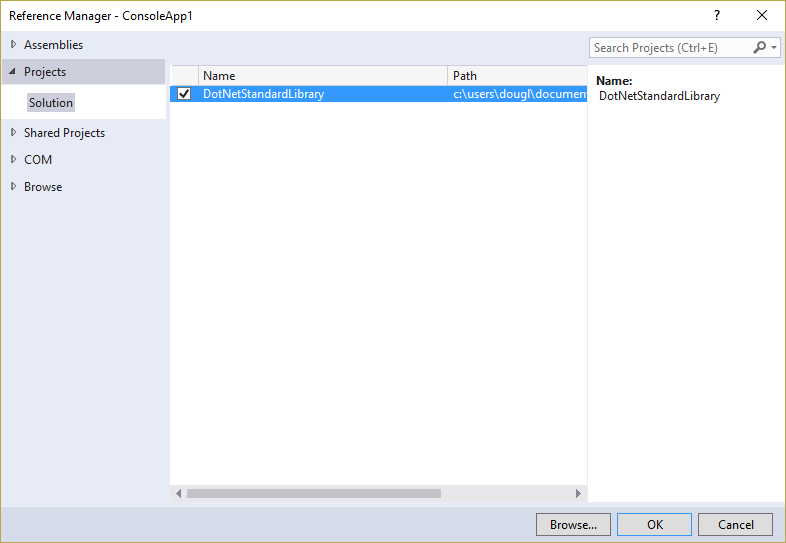 This section walks through how to create and use a .NET Standard Library using Visual Studio. Adding a .NET Standard Library to your solution is fairly straight forward. 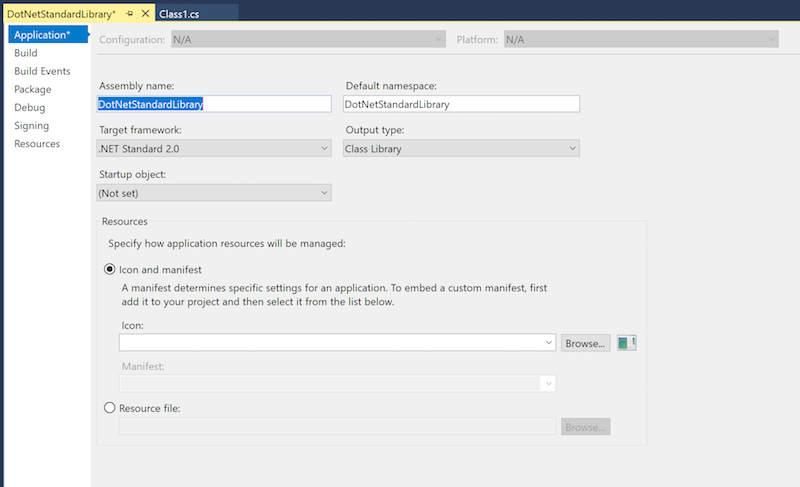 In the New Project dialog, select the .NET Standard category and then select Class Library (.NET Standard). Additionally: You can edit the .csproj directly to edit the TargetFramework element and change which version is targeted (eg. <TargetFramework>netstandard2.0</TargetFramework>). .NET Standard - detailed information and comparison to PCL.